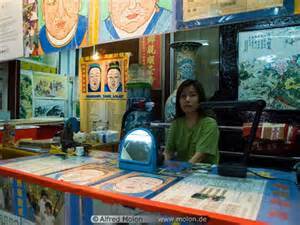 Malaysia, like various other countries in the world is home to a significant number of fortune-tellers. It is a well-known fact that the country’s sizeable Chinese and Indian populations do tend to consult fortune-tellers before they make any important life decisions like buying a property, getting married, starting a business etc. Some folk even consult fortune-tellers to try and figure out what the future holds for them, for instance will they pass their exams with flying colors? Or will they win the lottery? Or will they meet their Mr/Mrs Right? Professional fortune-tellers in Malaysia use various tools to try and predict the future and answer the queries of their patrons Tarot cards, palm readings, tealeaves reading, principles of Feng Shui, astrological charts, Chi Chi sticks, poker cards, numerology are some of theses popular tools. 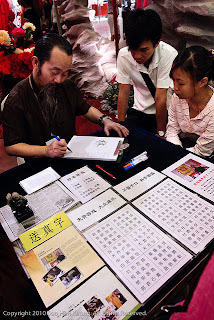 Chinese fortune-tellers in Malaysia often follow a method known as the ‘Zi Wei Dou Shu’ analysis based on a person’s “ba zi” to determine his/her fate. Zi Wei is the purple star, the King of Stars or the North Star in the West; Do Shu means calculations for the method uses the ‘Ba zi’ or the eight characters derived from the hour, day, month and year of your birth to make predictions. This method of fortune-telling is not only popular in Malaysia, but in various other countries of the far east like Singapore, Hong Kong, China, Taiwan and more. Amongst the various stores that sell souvenirs, mementos and various other knick-knacks are several palm-readers and fortune-tellers who offer prediction services for a nominal charge. Readings usually cost $10 upwards. At the main prayer hall of Kuala Lumpur’s Thean Hou Temple visitors can use Chi-Chi sticks to know their future. No fortunetellers are resident in the hall but you can use the available Chi-Chi sticks to find out your future. Prediction slips are available in Chinese and English. Located on Malacca’s famed Jonker Street are various little Chinese fortune-teller booths, which are always open for business. The local Chinese tend to consult these soothsayers for advice or to find out auspicious times of the year for holding events like weddings or for even making travel plans and financial investments. Penang abounds with sidewalk fortunetellers who take the form of Feng Shui Masters, Palmists, Numerologists and more. So if you are eager to learn what the future holds, try your luck by visiting a fortuneteller the next time you are in Malaysia.